Today, the Tunisian General Labor Union will strike for higher public service wages. While Tunisia’s economy is starting to recover, the IMF forecasts a 15% unemployment rate to persist into 2019. This is disappointing for many Tunisians as low wages and high unemployment were main demands of the 2011 uprising, which deposed dictator Zine el-Abidine Ben Ali. Last year, the Tunisian government accepted a $2.9 billion IMF loan, expecting that its budget deficit would drop from 6.2% in 2017 to 3.9% in 2019. Thus, Tunis increased taxes on phone calls, internet usage and cars and reduced expenditure on fuel subsidies, public service and government companies, sparking a rise in the cost of living. While threats for a strike last October led the government to pledge a pay raise for 150,000 public servants, this promise could not be met due to the IMF loan, which requires Tunisia to reduce public sector costs to 12.5% of GDP by 2020. 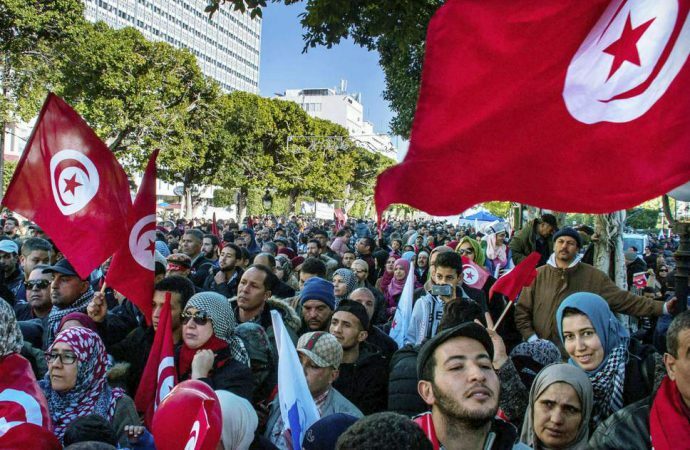 With the memory of the 2011 uprising fresh, the Tunisian government may make promises of concessions in order to quell strikes. However, the austerity measures are expected to remain implemented in the short-term.